Recently, Xiaomi officially announced that the Mijia projector youth version has opened its first sales. Amongst other features, the Xiaomi Mijia Projector Youth Edition supports 1920×1080 resolution and is compatible with 4K resolution. It is equipped with a new generation of DMD chips produced by Texas Instruments. Millions of DMD reflective lenses are independently flipped by ±17° at a frequency of 166,600 times per second, and beams of different colors are concentrated to the lens to present them. According to the official introduction, it uses four-channel LED RGB+BP, which has a brightness increase of more than 20% and an average brightness of 500 ANSI lumens (highlight mode) compared to the traditional three-way LED. It uses HDR10 high dynamic range video decoding which makes the picture contrast more distinct, the details are richer, the objects are more realistic and bring a more layered visual experience. 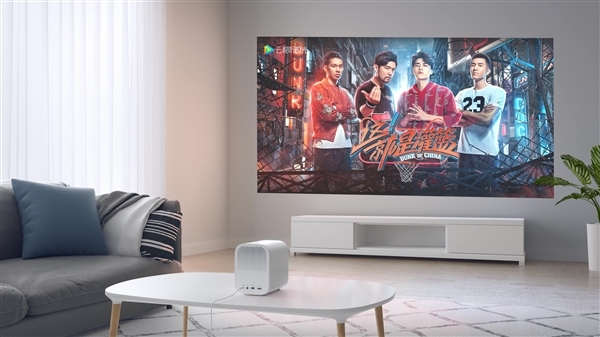 What’s more, the Xiaomi Mijia Projector Youth Edition uses a custom-designed cabinet volume and matching caliber to achieve the best possible acoustic performance in this space. It adopts a structure combining integrated large sound chamber and super long sound tube with a high sensitivity speaker. The sound level is rich and delicate, and the low-frequency dive is as low as 90Hz, which has more bass experience than common projection products. In addition, the official emphasizes that the Mijia projector youth version uses the diffuse reflection principle imaging. Unlike the direct light of traditional LCD TVs, the projected light is diffusely reflected into the human eye, which is less prone to eye fatigue and more care for children, middle-aged and older people. As of now, the Xiaomi Mijia Projector Youth edition is available on Gearbest for only $539.99. This is a one time opportunity that you shouldnt miss.. This product was released this year and it is worth every penny spent on it.